|| June 04: 2018: Kansai University News Japan|| ά. 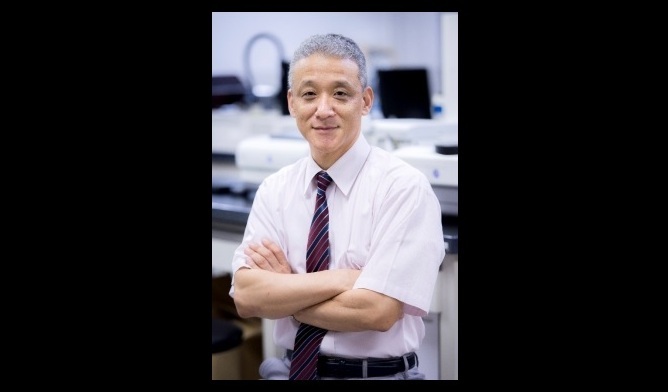 The KU-SMART Project is led by Polymer Chemist, Professor Yuichi Ohya of the Faculty of Chemistry, Materials and Bioengineering at Kansai University in Japan. “This is five-year project, jointly funded by Ministry of Education, Culture, Sports, Science and Technology:MEXT and Kansai University to develop medical materials, as well as, treatment and diagnostic systems.” says Professor Yuchi Ohya. “We are building on our expertise in biomedical materials, mechanics, and medicine, ‘triple M’. Specifically, the project is based on our research on medical polymers, that is, ‘Kansai University Medical Polymers:KUMP.’ These polymers exhibit unique properties, such as, hydrogels made from our polymers, that dissolve and biodegrade in a desired period in the body.” The research is divided into three groups: materials chemistry, mechanical engineering, both based at Kansai University and clinical medicine at Osaka Medical College. Through the ‘triple M’, Materials, Mechanics, and Medicine, based on Kansai University Medical Polymer:KUMP, we develop medical devices and systems, that meet users’ needs and thus contribute to society.’’ Kansai University is aiming to contribute to the development of advanced technology, that will innovate medical care. To this end, the Collaborative Research Centre of Engineering, Medicine and Pharmacology, which was established in the Organisation for Research and Development of Innovative Science and Technology:ORDIST, is working to develop medical devices and materials using Kansai University Medical Polymers:KUMP and, also, to develop human resources. ’’Currently in Japan, the transition from academic research to practical application is somewhat unsmooth. Therefore, we realised that it is necessary for material chemists, mechanical engineers and medical doctors to join forces and pursue the same research objectives. We believe that the time is ripe for such collaboration.’’ said Professor Ohya. ‘’This project aims to solve the medical problems, that Japan faces today. To this end, we material chemists, design and synthesize KUMP, while the mechanical engineers design devices and systems, that use KUMP. Meanwhile, we identify needs of medical problems by listening to medical doctors at the frontline. In this way, we are developing medical devices for the people, patients and medical doctors, based on the triple M materials, mechanics, and medicine. We intend to develop this project in a university-wide effort with a view to commercialising our products and making a real contribution to easing patients’ burdens. Another goal is to raise public awareness about the important role that manufacturers-a forte of Japan and Kansai University in particular-play in the medical sector and thereby, invigorate and inspire all those, ho work in Japan’s industrial sector. ::: ω. || May 22: 2018: University of Birmingham News || ά. The University of Birmingham has won funding for a powerful new piece of spectrometer, which will allow scientists gain better insights into the molecular basis of human health, including, the progression of cancer and infectious diseases. The spectrometer, which will operate at a strength around 500,000 times stronger than the earth’s magnetic field, will be installed at the University of Birmingham’s Henry Wellcome Building for Biomolecular Nuclear Magnetic Resonance as part of a £20 million investment from four of the UK’s research councils, led by the Engineering and Physical Sciences Research Council:EPSRC. The new 1GHz spectrometer uses Nuclear Magnetic Resonance:NMR, an analytical technique allowing the study of the structure and behaviour of molecules in exquisite detail. 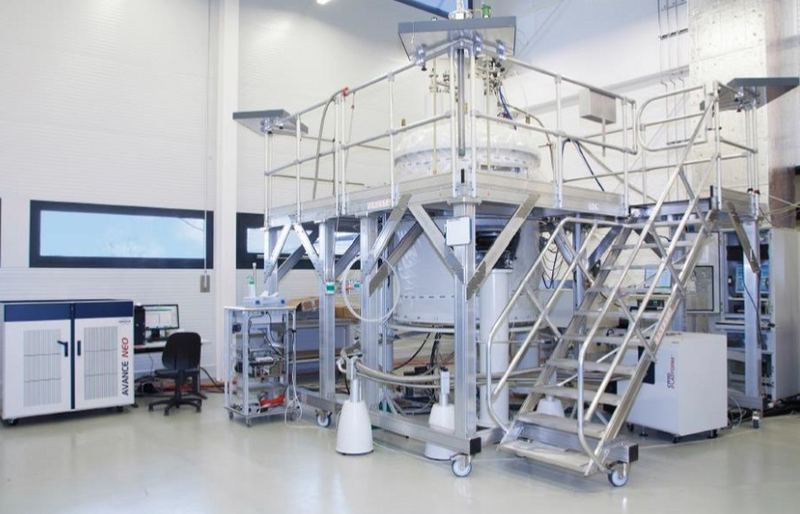 NMR can be used in a wide range of areas from physics and chemistry to biomedical science, including, allowing for the real-time measurement of cancer cell metabolism. This technique allows scientists to better understand the structures and mechanisms in proteins and other biomolecules, which is, often, essential for the development of new drugs. The spectrometer will secure the University of Birmingham’s place as an internationally leading centre for NMR research for the next decade. The University of Birmingham has, already, pioneered scientific activities driven by NMR, including, the opportunity to decipher how metabolism is regulated in human cells at molecular levels. The £20 million investment was announced by EPSRC on behalf of three other research councils, the Biotechnology and Biosciences Research Council:BBSRC, Medical Research Council:MRC and Natural Environment Research Council:NERC, who have supported the funding and also form part of UK Research and Innovation:UKRI, a non-departmental public body funded by a grant-in-aid from the UK government. The £20 million investment will be divided between eight Universities, including, Birmingham, Liverpool, Warwick, Oxford, Edinburgh, Leicester, Nottingham and Sheffield. The Universities of Birmingham and Leicester formed a strategic alliance to apply for the EPSRC funding. Professor Geerten Vuister, of the University of Leicester, said, “It is very stimulating to team up with Professor Ulrich Günther at the University of Birmingham. 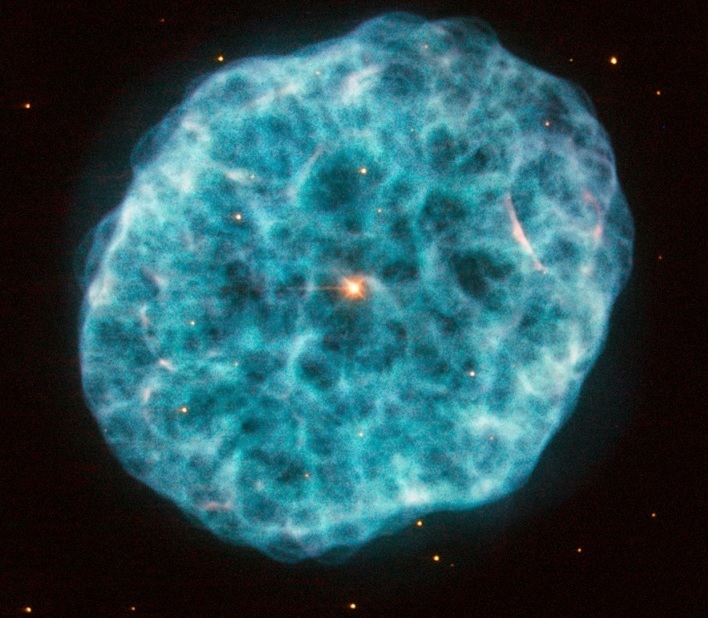 Caption: Spectrometer: Image: University of Birmingham ::: ω. || April 06: 2018 || ά. 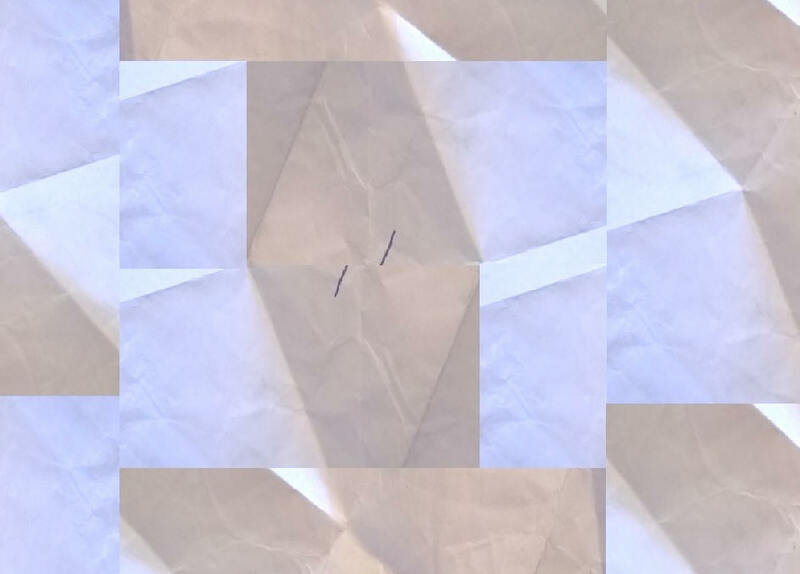 The Humanion was first published on September 24, 2015 and has been run, since that day, on a complete voluntary basis without any 'formal' or 'constituted' manner or form and, it was run on as a Human Enterprise, which is an idea of Humanics, in which, ownership is replaced by belongingship and, thus, in a Humanical Society, no one owns anything but everyone belongs to the whole as the whole belongs to everyone lawfully and equally and, it neither believes in nor makes money but human utilities, needs, aspirations, creativity, imagination and dreams are served without money, where everyone works and creates for all others as all others create and work for all others, thus, bringing in meaning and purpose to life along with it come natural justice, equality and liberty, that establish a true civilisation within the Rule of Law. And in one word, this system of human affairs management is called, Humanics and a society that runs itself in humanics is called a humanical society. Today, we have begun the process of 'constituting' this Human Enterprise, which does not exist in the current system, but the next closest thing to it, that exists in the UK Law is Social Enterprise. 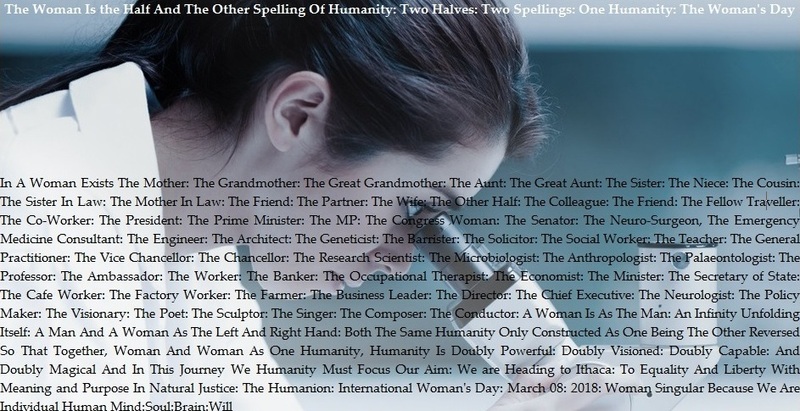 Therefore, today, Friday, April 06, 2018, we are beginning Regine Humanics Foundation, that is the 'Agency', that will lead, run, manage and develop everything, that The Humanion has been trying to do. ''But the founding of The Foundation brings it all in a solid foundation so that we can keep on building this 'vision' so that it keeps on going regardless of who come to take the vision-mission of The Foundation forward. The Foundation runs along with time and along with the flowing humanity. This is the dream, this is the vision, this the hope in founding this Foundation. And, in this, we hope and invite all our readers, supporters, well wishers and all agencies and organisations to support our endeavours to build something, a Human Enterprise, which we are in the process of registering as a Social Enterprise, as a Community Interest Company, working for the common good of the one and common humanity. No one makes or takes profit out of The Foundation, which now runs The Humanion and everything else, that is part of it. The Foundation, once registered, will have an Asset Lock, which means that in any event, should The Foundation dissolve itself, all its existing assets shall go to a similar Social Enterprise. Therefore, we invite everyone to support The Foundation, support The Humanion in whatever way they can. 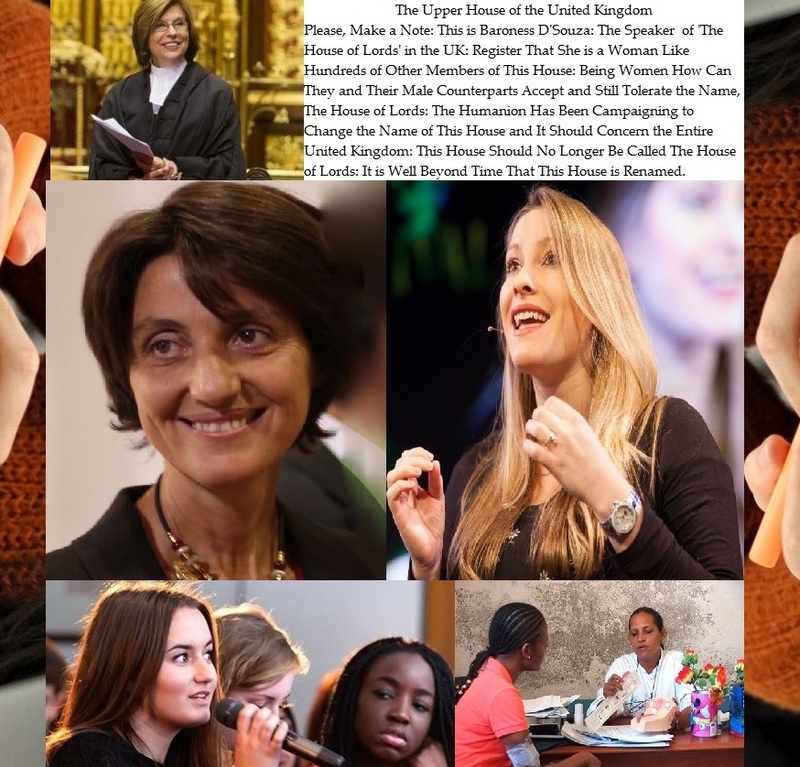 And, there are endless number of ways people and organisations can support The Foundation and The Humanion.'' ::: ω. || March 27: 2018: UCL News || ά. A new generation of brain scanner, that can be worn like a helmet, allowing patients to move naturally whilst being scanned, has been developed by researchers at UCL and the University of Nottingham as a Wellcome-funded project. In a Nature paper published yesterday, the researchers demonstrate that they can measure brain activity while people make natural movements, including, nodding, stretching, drinking tea and, eve, playing ping pong. 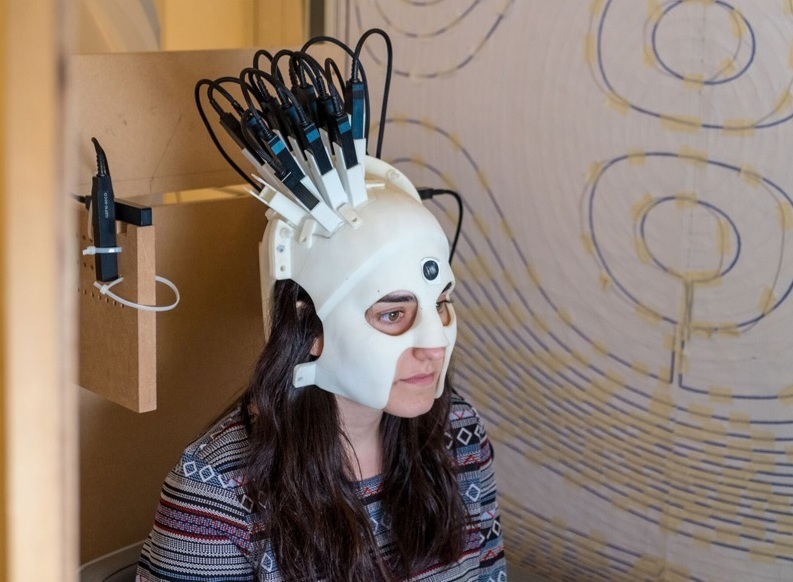 Not only can this new, light-weight, magneto-encephalography:MEG system be worn but, also, it is more sensitive than currently available systems. “This has the potential to revolutionise the brain imaging field and transform the scientific and clinical questions, that can be addressed with human brain imaging.” said Professor Gareth Barnes, who leads the project at the UCL Wellcome Centre for Human Neuro-imaging. ''Importantly, we will now be able to study brain function in many people, who, up until now, have been, extremely, difficult to scan, including, young children and patients with movement disorders. This will help us better understand healthy brain development in children, as well as, the management of neurological and mental health disorders.” he said. Brain cells operate and communicate by producing electrical currents. These currents generate tiny magnetic fields, that are detected outside the head. Researchers use MEG to map brain function by measuring these magnetic fields. This allows for a millisecond by millisecond picture of which parts of the brain are engaged, when we undertake different tasks, such as, speaking or moving. Current MEG scanners are large and weigh around half a tonne. This is because the sensors used to measure the brain’s magnetic field need to be kept very cold, at -269°C, which requires bulky cooling technology. With current scanners, the patient, must, remain very still whilst being scanned, as even a 05-mm movement can make the images unusable. This means it is, often, difficult to scan people, who find it hard to remain still, such as, young children or patients with movement disorders, such as, Parkinson’s Disease. It, also, poses problems when one might need a patient to remain still for a long time in order to capture a rarely occurring event in the brain, such as, an epileptic seizure. These problems have been solved in the new scanner by scaling down the technology and taking advantage of new ‘quantum’ sensors, that can be mounted in a three-D-printed prototype helmet. As the new sensors are very light in weight and can work at room temperature, they can be placed directly onto the scalp surface. Positioning the sensors much closer to the brain increases the amount of signals, that they can pick up. The light-weight nature of the new scanner means that, for the first time, subjects can move their heads during the scanning. However, the quantum sensors will only operate in this way, when the Earth’s magnetic field has been reduced by a factor of around 50,000. To solve this problem, the research team developed special electromagnetic coils, which helped to reduce the Earth’s field around the scanner. These coils were designed, specifically, to sit on either side of the subject and close to the walls of the room, to ensure that the scanner environment is not claustrophobic. The scanner is based around helmets, that can be made to fit anyone, who needs to be scanned. Following success of their prototype system, the researchers are now working towards new styles of helmet, which will have the appearance of a bicycle helmet, that will be suitable for babies and children, as well as, adults. The researchers predict this new type of scanner will provide a four-fold increase in sensitivity in adults, potentially, increasing to 15 or 20-fold with infants. Caption: Brain-Scan Helmet: Image: Wellcome::ω. || March 26: 2018: University of Idaho News: Kate Keenan Writing || ά. Career-ending Achilles tendon tears in professional athletes. A decline in an aging population’s quality of life due to injured rotator cuffs. Outdoors enthusiasts made immobile because of tendon tears in their knees. In the near future, the debilitating nature of these injuries could be a thing of the past, as a team of faculty members and students in the University of Idaho’s Department of Biological Engineering is focusing on revolutionary research to engineer regenerative tendon tissue. ''Because tendons undergo repetitive motions and sustain such large mechanical loads, they’re prone to injury.'' said Mr Nathan Schiele, Assistant Professor of Biological Engineering at the University's College of Engineering. Once injured, treatment involves suturing the tendon through surgery, followed by rehabilitative therapy. Re-rupture is a common occurrence and patients, rarely, regain the mechanical strength they once had. For Mr Schiele, that prognosis is daunting. Having suffered his own share of tendon pain, the second-year professor doesn’t take for granted a healthy musculoskeletal system necessary for an active lifestyle. “I like to hike and ski and bike, so it’s partially selfish to work on tendons because they’re so crucial to an active lifestyle.” Mr Schiele said. “I want to keep doing these activities, even, as I get older, so having an alternative treatment option besides sutures seems like a good idea to me.” The main focus of his research is to better understand the mechanisms behind successfully engineering tendon tissue through stem cell differentiation. Mr Schiele said that one of the challenges with stem cell is that once they’re harvested from a person’s bone marrow or fat tissue and injected into the injury site for regeneration, they remain undifferentiated. 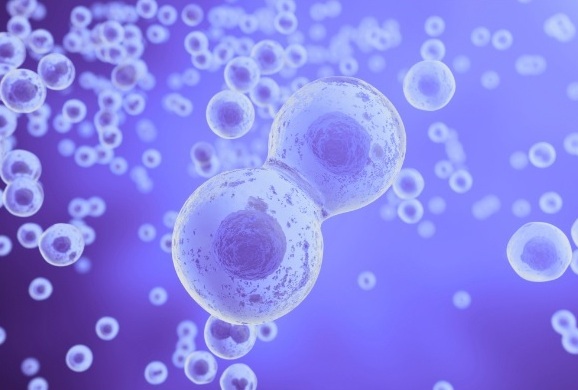 This means that the cells, which have the potential to replicate various cell types in the body, can travel down any number of lineage tracks, bone, cartilage, muscle, fat or tendon, posing great risk to the patient. Mr Schiele and his student research team are trying to ensure proper differentiation of functional tendon tissue in the lab. Such a discovery could, eventually, allow doctors the ability to extract stem cells from a patient, differentiate them toward tendon cells in the lab, place them on an engineered tissue scaffold, that mimics the mechanical strength of tendon and suture them back into the patient. “For people, who have had major trauma, like an Achilles tendon rupture, we aim to replace or augment that injured tissue with a mechanically functional tendon replacement with cells, that act like tendon cells.” Mr Schiele said. A number of factors exist, that can, ultimately, push a stem cell toward a desired lineage, the shape of the cell, the biochemical environment or growth proteins the cell is exposed to, the stiffness of the structure that the cell is placed in and the mechanical forces, such as, stretching, that it undergoes. The experiment of better understanding the process begins with stem cells harvested from mice, which provide a model system to represent adult human stem cells. Mr Schiele’s students seed the cells into a small sponge or scaffold, made of bovine collagen. Since this collagen protein is a major component of human tendon tissue, it acts as a natural mimic. It’s this type of material, that could be sutured into patients’ torn or ruptured tendons to facilitate re-growth. Once in the scaffold, the cells attach to the surface and spread out. Biological Engineering student Ms Sophia Bowen of Sandpoint, who has worked in the lab since spring 2016, is experimenting with how many stem cells to place on each scaffold and, if, cell seeding density influences tendon formation. Upon settling on an appropriate number of cells, students place the scaffolds in a custom device, called, a mechanical bioreactor system, which allows them to test how mechanical forces, like stretching, influence the behaviour of the stem cells and the probability of differentiating toward tendon. The bioreactor was designed and constructed in-house by Biological Engineering senior Ms Abby Raveling of Hamilton, Mont. Ms Raveling began with a template and, then, used the computer program me Solid Works to customise the device to suit the team’s needs. The finished product has three chambers, that, each holds one collagen scaffold, held in place by grips. It, also, has three motors, which are operated through the code, that Ms Raveling and Biological Engineering graduate student Mr Hee Jun Um, from South Korea, wrote in Lab View programming language. Once turned on, the motors attach to the grips, move up and down and stretch the scaffolds back and forth. According to Ms Sophia Theodossiou, a doctoral student in Biological Engineering from Athens, Greece, “Tendon development seems to depend quite a bit on the mechanical loading, that they experience.” Ms Theodossiou began working in the lab during the summer of 2016. After a given period of time of mechanical stretches, students remove the scaffolds from the bioreactor and stain them with a fluorescent dye to identify how the cells have been affected by the force, a process, that Ms Bowen, a former art major, finds, particularly, fascinating. “There have been a lot of times, when I’ve been looking at something in the lab and I’ve thought, ‘Wow, I could see this in an art gallery.’” she said. ''In a preliminary experiment, the proteins in the stem cells with the highest percentage of stretch were elongated, an indication, that the cells, may, turn toward tendon.'' Mr Schiele said. And there seemed to be more intercellular connections. “They were talking to each other and attaching better to our scaffolds.” Ms Raveling said. Ms Theodossiou, who is studying how communication and the transmission of cells’ signals influences what lineage they travel down, is, especially, interested in this result. Mr Schiele said, “Maybe, we find that we need to turn on a specific cell signalling pathway. Or we need to turn on a specific cell behaviour to better direct stem cell fate toward tendon.” Ms Raveling and Ms Bowen received funding through the Idaho IDeA Network of Biomedical Research Excellence:INBRE and the University's Office of Undergraduate Research, respectively, which gave them 10-week stipends to work in Mr Schiele’s lab this summer. In July, Ms Bowen presented her findings on cell seeding density to the Idaho Conference on Undergraduate Research. In June, Ms Raveling shared her findings from the bioreactor at the SB3C or the Summer Biomechanics, Bioengineering and Biotransport Conference, in Tucson, Ariz. She was one of the only undergraduate students to conduct a podium presentation. Ms Raveling and Ms Theodossiou are currently working on a paper related to the bioreactor and plan to include open-source drawings of the device. In the meantime, the team will continue conducting experiments to reach their final goal. “If we can have a tendon treatment option, that replaces diseased or damaged tissue and improves strength after healing, that would be a big benefit.'' Mr Schiele said with the hope that that would , possibly, be the end to devastating tendon injuries. ω. || March 22: 2018: University of Southampton News || ά. Researchers are able to produce a vast library of unique cyclic compounds, some with the capacity to interrupt specific protein to protein interactions, that play a role in disease. The new compounds have unique cyclic structures, that give them stability and enhance their ability to bind to their targets. The study, reported in the journal Nature Chemical Biology, showed that one of the newly generated compounds interferes with the binding of an HIV protein to a human protein, an interaction vital to the virus’ life cycle. While linear proteins are problematic, cyclic molecules composed of one or more rings of amino acids, are more stable and less susceptible to cellular enzymes, that tend to chew off the ends of linear proteins. They are, thus, more likely to successfully bind to their targets. In the new study, researchers made use of an enzyme they discovered from a bacterium, that lives in the ocean and tested whether it could make analogs of these natural products in Escherichia coli. The report was co-authored by Professor Ali Tavassoli from the University of Southampton and Professor Wilfred van der Donk from the University of Illinois and the Howard Hughes Medical Institute. Professor Wilfred van der Donk said, “Most drug-discovery efforts focus on disease-inducing interactions in enzymes and proteins, that involve classic 'lock-and-key' mechanisms. In most cases, small chemical drugs bind to cavities in enzymes, where the chemical reactions take place. By binding to these crevices, the drugs prevent the enzymes from working. The research team found three potential therapeutic agents. Further testing showed that one of the three worked best. In a test tube and in cells, the compound bound to the human protein, stopping the HIV protein from interacting with it. This drug agent likely will not be used therapeutically, however, as it, may have, toxic side effects at high doses as a result of its interaction with the human protein. “We engineered the genes of the E. coli strain such that its survival depended on disrupting the interaction between the human protein and an HIV protein. The real advance here is the ability to generate libraries of millions of, potentially, therapeutic agents. These could be screened to identify inhibitors of other disease-related processes, which is where its real potential lies.'' Professor Tavassoli said. ω. || March 13: 2018: University of Sheffield News || ά. Researchers at the University of Sheffield have successfully used computer simulated models and medical imaging to test the strength of young children’s bones, producing results, which could help car seat manufacturers design safer car seats for young children. The study, the first on infant bone strength in relation to age:weight using models developed from modern medical images, is published today in the Journal of Biomechanics and Modelling in Mechanobiology. The research was carried out by the University of Sheffield, Sheffield Teaching Hospitals NHS Foundation Trust and the Children’s Hospital Charity could help companies manufacturing children’s safety products, such as, car seats, use the modelling of bone strength in designing and testing their products before bringing them to market. The research used CT scans, x-rays to take detailed pictures of the bones from different angles and subsequent computer models to set up scenarios looking at how a different amount of force affects the bones, bending and twisting the bones to detect the breaking point. These non-invasive techniques created three-D models of the femur, thigh bone in the study of children’s bones in the newborn to three-year-old age range. This is the age range, that has had the least research conducted previously but, also, the ages, where children can’t talk or communicate effectively about how their injury occurred. There is, also, a period of rapid growth between these ages and the researchers were able to determine how bones developed during this time and how bone strength changed. Protection has improved, significantly, since the introduction of car seats but car accidents are still a leading cause of life threatening injury in children. Computer aided engineering is an essential part of vehicle development and safety assessments are increasingly relying on simulations. Therefore, it is vital that the correct simulations, using accurate models, are used to ensure optimum safety. Current testing for car seats in simulated crash tests often use scaled down models of adults to simulate a child in a given situation. However, anatomically, a toddler has a very different bone structure to an adult, the bones are not fully formed and still growing. Dr Xinshan Li, from the Insigneo Institute for in silico Medicine and the Department of Mechanical Engineering at the University of Sheffield, said, “There is currently very little research looking into the bone strength of young children. Our data can be applied to help car seat manufacturers, pram manufacturers, toy manufacturers and any other companies designing children’s products, to design and make safer products and use our modelling of bone strength in testing their products before bringing them to market. Dr Amaka Offiah, Reader in Paediatric Musculoskeletal Imaging in the Department of Oncology and Metabolism at the University of Sheffield and Honorary Consultant Paediatric Radiologist at Sheffield Children’s Hospital, said, “Bone fractures are common in childhood and have been estimated to account for 25 per cent of all paediatric injuries. They can broadly be categorised into accidental or inflicted injuries. Currently, distinguishing between these can often be extremely difficult. Due to the difficulties in obtaining paediatric bone samples there has been a lack of research to provide evidence-based information on bone strength in young children. In addition to the child safety industry-based applications, the findings from our study can be used in future to aid clinical diagnosis. The Insigneo Institute for in silico Medicine is a collaborative initiative between the University of Sheffield, Sheffield Teaching Hospitals NHS Foundation Trust and Sheffield Children’s NHS Foundation Trust, in silico medicine is, also, known as computational medicine. It is a multidisciplinary collaboration between over 140 academics and clinicians to develop computer simulations of the human body and its disease processes, that can be used directly in clinical practice to improve diagnosis and treatment. MultiSim is an Engineering and Physical Sciences Research Council:EPSRC funded programme which is based in Insigneo. Professor Damien Lacroix, Director of MultiSim, said, “The MultiSim project provided resources for this research, as the research team was able to use the same modelling techniques and software we created to look into musculoskeletal diseases and apply this to modelling for children’s bones to test their strength. The research team is continuing their work in this area and will be building on the current research to assess other long bones, such as, the tibia, expand their database to ensure a good representation of children in each age range, and look at more complex injury scenarios. This study was supported by the Higher Committee for Education Development in Iraq:HCED. The project, also, received funding from the MultiSim Project and the European Commission H2020 programme through the CompBioMed Centre of Excellence. About University of Sheffield: With almost 29,000 of the brightest students from over 140 countries, learning alongside over 1,200 of the best academics from across the globe, the University of Sheffield is one of the world’s leading universities. A member of the UK’s prestigious Russell Group of leading research-led institutions, Sheffield offers world-class teaching and research excellence across a wide range of disciplines. Unified by the power of discovery and understanding, staff and students at the university are committed to finding new ways to transform the world we live in. Sheffield is the only university to feature in The Sunday Times 100 Best Not-For-Profit Organisations to Work For 2017 and was voted number one university in the UK for Student Satisfaction by Times Higher Education in 2014. In the last decade it has won four Queen’s Anniversary Prizes in recognition of the outstanding contribution to the United Kingdom’s intellectual, economic, cultural and social life. Sheffield has six Nobel Prize winners among former staff and students and its alumni go on to hold positions of great responsibility and influence all over the world, making significant contributions in their chosen fields. Global research partners and clients include Boeing, Rolls-Royce, Unilever, AstraZeneca, Glaxo SmithKline, Siemens and Airbus, as well as many UK and overseas government agencies and charitable foundations. MultiSim: MultiSim is an Engineering and Physical Sciences Research Council:EPSRC funded Frontier Engineering programme awarded to the University of Sheffield to develop a multi-scale modelling framework of the human musculoskeletal system. MultiSim aims to generate computer simulations, that help diagnosis and provide patient-specific treatment recommendations. In addition, to saving time and money, the new computer tools will provide a more reliable diagnosis of the disease, a better treatment and a detailed prognosis and monitoring of the treatment. The final goal of such a programme is to improve patients' quality of life. ω. || March 09: 2018: University of Huddersfield News || ά. A Team of scientists at the University of Huddersfield have reached a major milestone, raising £10 million in funding since they formed a research group, that works closely with industry, carrying out complex chemical analysis. Named Innovative Physical Organic Solutions:IPOS, the Group was formed in 2006 by Professor Mike Page, Dr Nick Powles and Dr Matthew Stirling. Now, the Group has 15 members, including, industry-sponsored doctoral researchers. The Group's recent work has included a new method for detecting multiple sclerosis and ways of overcoming resistance to antibiotics. There has, also, been important work with the food industry, such as, improvements to infant milk and a method of analysing animal gelatin. IPOS works in the purpose-built Page Laboratories, named after the unit’s joint founder, a distinguished Chemist, who has published over 200 research papers. Professor Page is, also, a former Deputy Vice-Chancellor of the University of Huddersfield. The labs have been named a Centre of Excellence by multi-national supplier Agilent and after an initial grant from the European Regional Development Fund, the advanced equipment has all been purchased with income earned by IPOS, which has now attracted £10 million of research funding. The unit has worked with more than 250 companies, primarily, based in the Yorkshire and Humber region but, also, large multi-nationals. The IPOS scientists provide expert research and analytical services in such diverse fields as food, agro-chemicals, pharmaceuticals, healthcare, energy production and polymers. 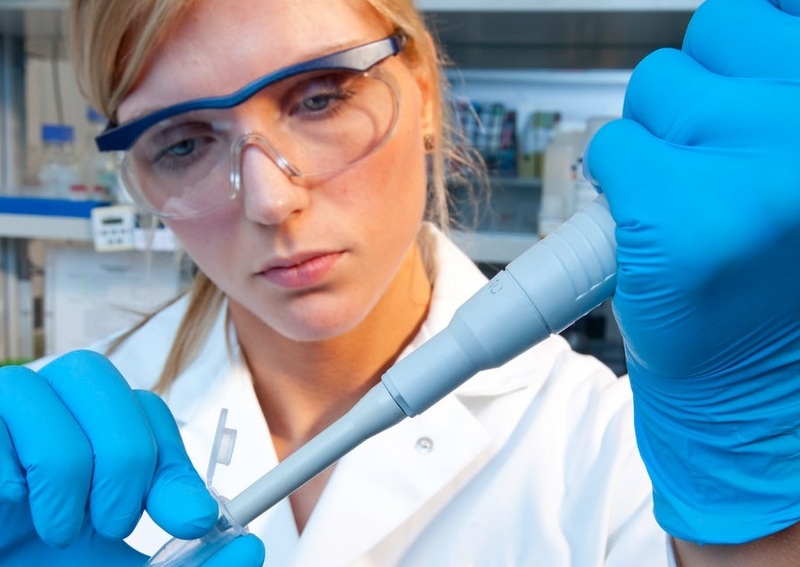 IPOS has, also, pioneered an apprenticeship scheme, which enables promising young scientists to work in the lab and study part-time for a degree. The unit has, also, received two awards from the Society of Chemical Industry for its outstanding contributions, particularly, to regional industry. IPOS' recent work includes: i: A new method of detecting multiple sclerosis, that has led to a joint project with the NHS and Pinderfield’s hospital in Wakefield to further validate the test in a clinical setting and, also, to develop additional diagnostic tests for difficult to diagnose diseases, such as, neurological and intestinal conditions. ii: A project with Dairy Crest leading to the international adoption of an IPOS method of carbohydrate analysis and improving infant formula; iii: Ways of overcoming bacterial resistance to antibiotics and development of probiotic foods for human and animal health; iv: An analytical method to determine from which animal gelatin originated. This is important because, although, gelatin has many applications in the food, medical and cosmetic industries, the outbreak of bovine spongiform encephalopathy:BSE in 1986 led to restrictions on the use of bovine gelatin for human consumption. There are, also, restrictions from some religions and cultures banning the consumption of porcine products. About University of Huddersfield: The University of Huddersfield has a growing reputation as an inspiring, innovative provider of higher education of international renown. Recognised as a leader in enterprise and innovation, the University has been the recipient of the Times Higher Education’s University of the Year Award and Entrepreneurial University of the Year and was awarded a Queen’s Awards for Enterprise. In the 2015, the University achieved five star status from international ratings organisation QS Stars in the areas of teaching, internationalisation, employability and for facilities and access. It is currently number one in England for the proportion of staff with teaching qualifications and recently became one of the few universities in the UK to be awarded the ‘Gold’ standard in the Government’s new Teaching Excellence Framework. The University annually welcomes over 19,000 students to a range of undergraduate and postgraduate programmes across subjects covering: the sciences, engineering and IT; ealth, education and the social sciences; business, management, law and accountancy; architecture, design, humanities and the arts. The University of Huddersfield’s researchers are dedicated to solving the problems and answering the questions posed by industry, science and society as a whole. Its research is showcased by internationally-recognised centres of excellence, strategic industry relationships and a commitment to providing advanced facilities and equipment. The Chancellor of the University is His Royal Highness The Duke of York KG and the Vice-Chancellor is Professor Bob Cryan CBE. ω. || March 05: 2018: National University of Singapore News || ά. NUS researchers from the Yong Loo Lin School of Medicine, Faculty of Engineering and Cancer Science Institute of Singapore:CSI, in collaboration with the National Cancer Centre Singapore, have devised an innovative technique to grow liver cancer cells in the laboratory, that were derived from patients, paving the way for a more cost effective and efficient method of testing drug efficacy. This multidisciplinary effort was led by Dr Eliza Fong from NUS Biomedical Engineering and CSI Research Fellow Dr Toh Tan Boon. The research was published online in Biomaterials in January. Liver cancer is a leading cause of cancer death for both men and women in Singapore and the disease is, often, only, detected at an advanced stage, that is beyond cure. Researchers currently test the efficacy of drugs on models of tumours, known as patient-derived xenografts:PDXs. However, these PDXs are expensive and time-consuming, when used for drug screening. Furthermore, current liver cancer models, typically, make use of cancer cell lines in which cells are, mostly, homogeneous or similar. In reality, liver tumours exhibit intra-tumoural heterogeneity in which a single tumour mass can contain multiple distinct populations of cancer cells. “Not all cancer cells within the same tumour are the same. This makes treating liver cancer very challenging; because there is heterogeneity, not all cancer cells, may, respond similarly to the same drug. This, may, result in drug resistance later on in the patient.” Dr Fong explained. The researchers grew cancer cells from 14 liver cancer PDXs, each line derived from a patient with liver cancer, on an engineered three-dimensional scaffold fabricated from a plant-based porous hydrogel that mimics the cellular environment in the liver. The spongy scaffolds, measuring 06mm in diameter, serve as housing for the cancer cells and were designed to have optimised biochemical and mechanical properties conducive for the culture of liver cells. 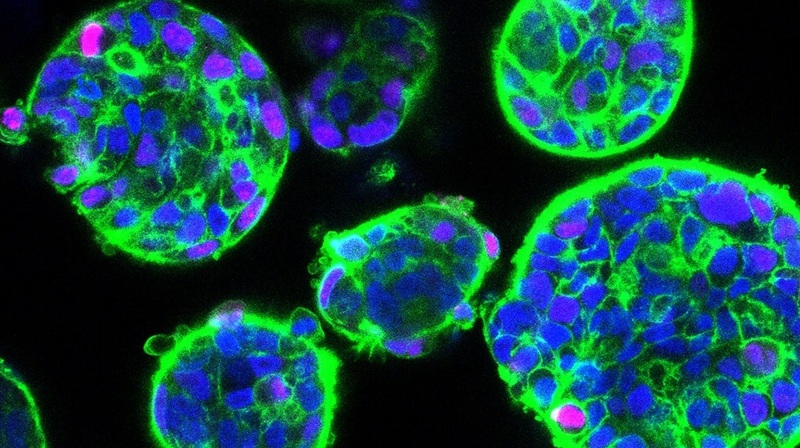 These properties allow the cells to preserve their shape and function and grow as organoids. The three-D organoids possess several advantages over existing liver cancer models. Not only are they able to replicate the intra-tumoural heterogeneity found in liver tumours as well as molecular profile, they are minuscule in size, a mere 0.1mm. Through this technology, one PDX can be used to produce up to hundreds of scaffolds containing organoids for drug studies, increasing the throughput for drug screening. 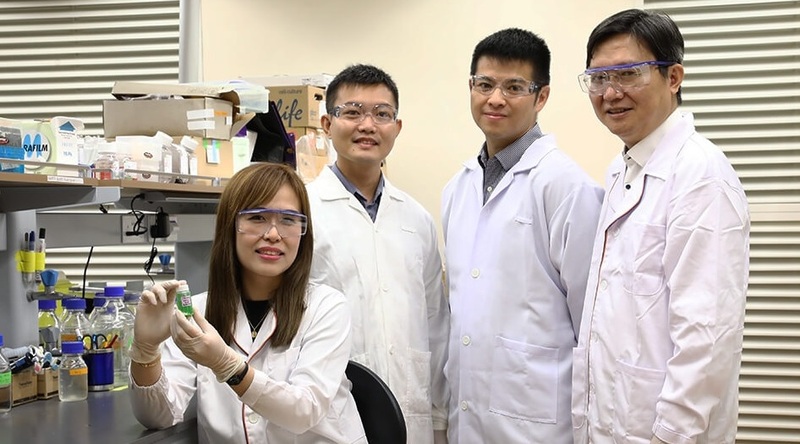 Speaking of the impact of the research, Professor Hanry Yu from NUS Physiology and Institute of Bioengineering and Nanotechnology, Agency for Science, Technology and Research, said, “The spongy scaffolds were developed to keep normal liver cells happy and, also, preserve the important properties of liver cancer for drug testing. This could one day allow patients to choose the best treatment based on the drug testing results of their own liver cancer cells. Dr Toh said that time was a crucial factor in treating liver cancer patients. “Our goal is to move towards personalising treatment for individual patients. If, we can screen for drugs, that actually work, patients, may, have a better chance of getting the right treatment.” he said. Dr Fong added that with this platform, it, may be, possible to derive drug responses on patient tumours in one to two weeks. 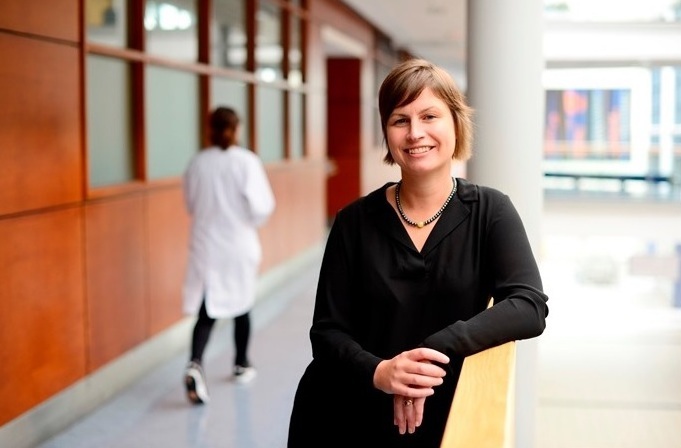 The research team aims to build a more complex liver cancer model to better mimic the disease in patients by including other tumour supporting cells, such as, immune cells and blood vessels. 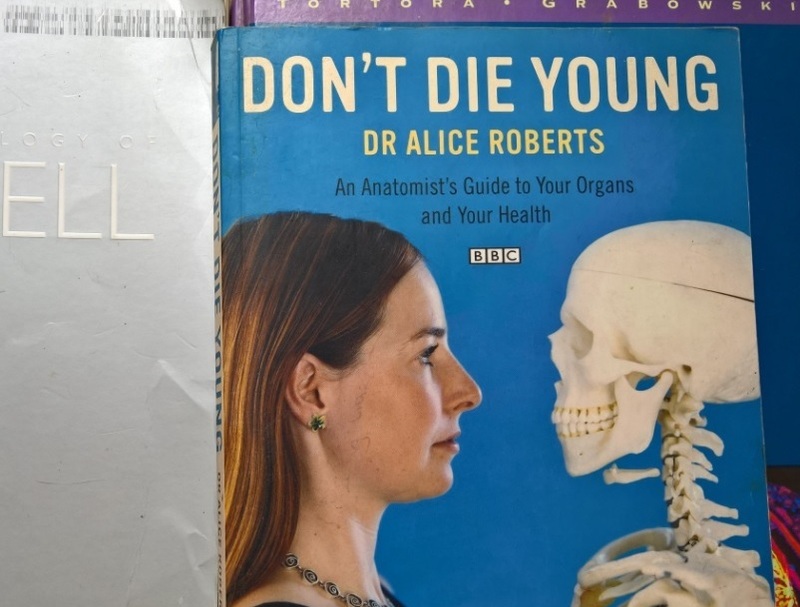 ω.
Dr Aoife Morrin is a Senior Lecturer, at Dublin City University's School of Chemistry and Funded Investigator with the Insight Centre for Data Analytics, who works on clever skin patches or ‘tattoos’, that can pick up signals from the body. Here she speaks of her research and work. My group is developing easy-to-wear ‘tattoos’ that you can leave on the skin. We are developing this tattoo platform as a wearable medical device, so the tattoo material sits on the skin and can measure specific information from the body, with the aim of monitoring the person’s health or performance. What kinds of signals would you design these tattoos pick up: Different materials will respond to different signals coming from the skin. Measuring the electrical properties of the skin can give us information on things like wound healing progress. We are increasingly looking at ways to measure biochemical signals, too. Specifically, we are looking at ways to collect and detect the gases or volatiles, that our skin emits, to see if we can interpret these signals in the context of our health." What drives you to keep going in research: I think it’s seeing the people in the research group develop themselves as we move ideas through into development, that is really rewarding. We have a great bunch here and we work well together, we all learn from each other.” ω.